Category Archives: Free for Me! 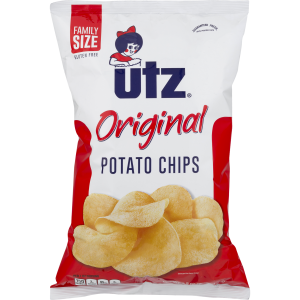 If you purchased Utz or Bachman brand food products at any time between December 30, 2010 and March 30, 2019, you may be entitled to a settlement of up to $20 Read the list of products here: http://www.utzsettlement.com. I admit to buying a “few” bags after trying the Fried Dill Pickle freebies from the Jewel Word of the Day last September. Get a coupon in the mail for a free bag of Purina ONE for either dogs or cats when you register for their 28-day challenge. Click here for DOGS and here for CATS. 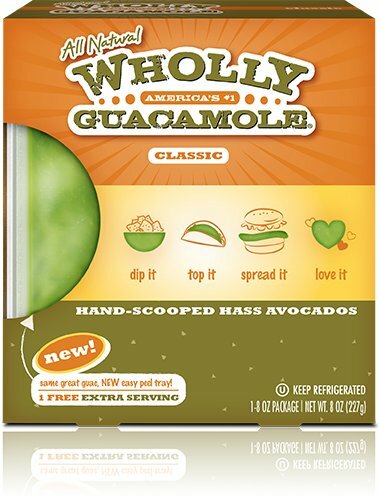 Limit one per individual, household or email address. Get yourself a FREE 8-pk of Ice Mountain sparkling water with this Nestle promo. Click, fill in the info and they’ll send you a coupon good for a freebie. They offered this back last May and PITA and I both got coupons. This promotion is not the same; it runs through January 15, 2019. 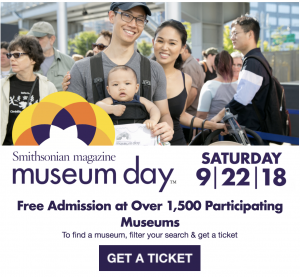 Saturday is Free Museum Day! Just enter your zip code to see participating museums in your area. I put in 60601 to see all Chicago and found the Adler, Pullman, Mayslake Peabody Estate and more I’m actually interested in seeing! 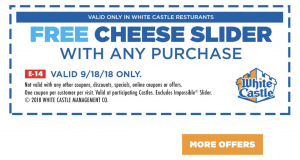 Today only, get a free cheese slider with any purchase at White Castle. Don’t really have any close enough to make a trip for (the one on Roosevelt is almost impossible to access due to on-going road destruction construction. To celebrate their birthday, 7-Eleven is offering a free Slurpee today only from 11 a.m. to 7 p.m.. This year is their 91st ! Walk in (be prepared for possible long lines) and ask for your free small Slurpee. Click for their store locator. Get yourself a FREE 8-pk of Ice Mountain sparkling water with this Nestle promo. Click, fill in the info and they’ll send you a coupon good for a freebie. Did this a couple of weeks ago (haven’t received the coupon yet), but tried it again with a different email and it went through! Thanks to Rose for the heads up. 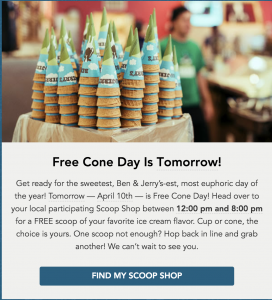 Tomorrow (4/10) is the annual Ben & Jerry’s Free Cone Day. Head on over to your local Scoop Shop between noon and 8 pm for your free scoop. Like it enough, get back in line for another! Unfortunately for me, there are only two in the Chicago area: Glenview and Navy Pier, but if you’re living or working near those two places or live elsewhere in the country, you’re in luck!